Can you give us an update on what’s going on in Hartford/East Hartford as it relates to the Innovation Place program? Our program in Hartford and East Hartford is defined by industry-focused initiatives in Insurtech, Medical Technologies and Digital Health, and Aerospace and Advanced Manufacturing, as well as 2 community-based initiatives centered around Social Capabilities and Placemaking. We are very excited about the progress we’re making on all fronts. In Insurtech, our first step was partnering with Startupbootcamp to run a new accelerator program. 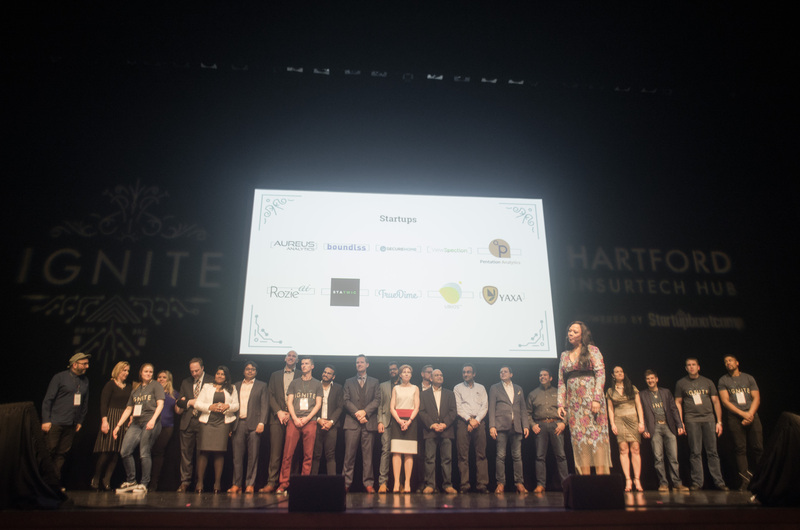 Ten startups from around the globe came to Hartford to learn how to apply their products and technology to practical insurance uses, and obtain training and mentorship from leading industry professionals. That program formally ended on April 18, when over 600 people joined us at the Bushnell’s Belding Theater for Demo Day. However, 4 of the 10 companies are currently in the midst of establishing a presence here in Hartford, and all are actively engaging in pilots with connections secured during the accelerator program – a total of 21 so far! In Medtech, Hartford HealthCare is leading the process of developing connections in the Greater Hartford area and new programs that will help support emerging biomedical and digital health companies. New programs are expected to be announced later this summer. And in Aerospace and Advanced Manufacturing, we’re focusing on supporting research and development capacity and building a more robust pipeline of talent to fill the incredible amount of growth in the local aerospace industry and supply chain. We are extremely proud of the work being done under the Social Capabilities umbrella. Our partners include reSET, University of Hartford’s Entrepreneurial Center, and MakerspaceCT. We’ve invested in their programming so that they can broaden their reach and expand programs to help entrepreneurs make connections with the right resources, and corporate partners. 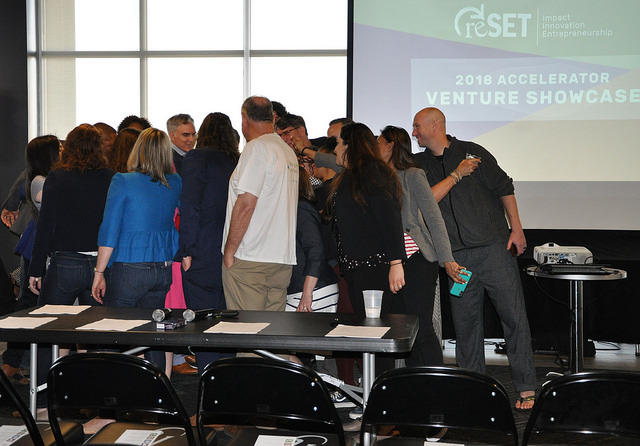 Most recently, reSET held its prestigious Venture Showcase at the Yard Goats stadium where 10 finalist were given an opptunity to pitch their products. 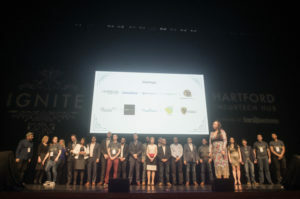 They awarded the best innovators with cash prizes totaling $20,000 and it was an event that celebrated creativity and the innovaton mobilization that is happening here in Hartford. Finally, we are sponsoring placemaking activities in the area between Trinity College and Hartford Hospital, focused on enhancing retail and food options to encourage more interaction between the neighborhood and employees of local anchor institutions. Our goal, from an organizational standpoint, is to build partnerships with and between critical city stakeholders who can work together to create the right conditions for innovators and entrepreneurs to thrive. To support that, we’ve put together a board of 20 leaders, representing a diverse range of industry, community, and educational perspectives, to help guide our programs’ continued development. What are your general impressions of the Innovation Places program and how it’s been implemented in Hartford so far? It’s fun and exciting to be a part of a program designed to inspire and invigorate creativity and strategic community growth and development. We’re starting to hear a buzz emerging and getting louder in Hartford now. 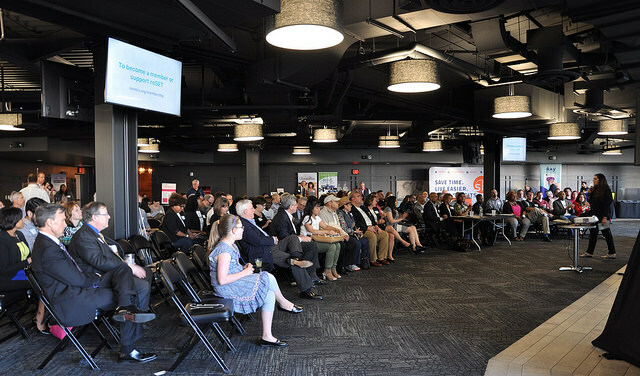 There is so much going on between UConn and Trinity’s increased presence in the city; the investments being made by Travelers, Cigna, The Hartford, Hartford HealthCare, Stanley Black and Decker, Infosys; and now, a focus on creating solid connections between all of these efforts and a truly supportive ecosystem for entrepreneurship and innovation. It’s easy to start to get excited about everything that is possible when these assets get networked together, and that’s primarily what we are focused on. What have been some of the early challenges you’ve encountered? Our biggest challenge, frankly, is that there is a tremendous amount of opportunity in front of us. We’re excited about the things that we are trying to achieve, and the community is ready and excited about it too. We have incredible support from the mayors of Hartford and East Hartford, institutional partners, our board of directors, and CTNext. It feels like we have a moment right now, and we want to capitalize on the opportunities that we see around us to leverage that moment, and the energy that we have seen to do something big here. We’re coming up on the end of the first year of the program. What are the focus areas for Year 2? In Year 2, we’ll be growing and expanding the level of Insurtech activity happening in Hartford. And we’ll continue to build upon emerging opportunities in Medtech, Aerospace and Advanced Manufacturing as they present themselves – helping emerging companies get to market and scale faster, and encouraging innovation partnerships amongst some of our strongest anchor institutions. We’re also going to spend more time building partnerships between different organizations and efforts across the community. The key to unlocking so much of the possibility that we see is helping people to recognize the opportunities and benefits of working together; leverage the resources that are all around us, but sometimes go unrecognized; and raise awareness amongst all of us about just how much our city and region have to offer. We want to help our community to start to think about ourselves and our region differently. Then, we all become much more capable of creating the change that we all want to see, together. In another four years or so, when the Innovation Places program has run its course, what will Hartford look like if you’ve been successful? 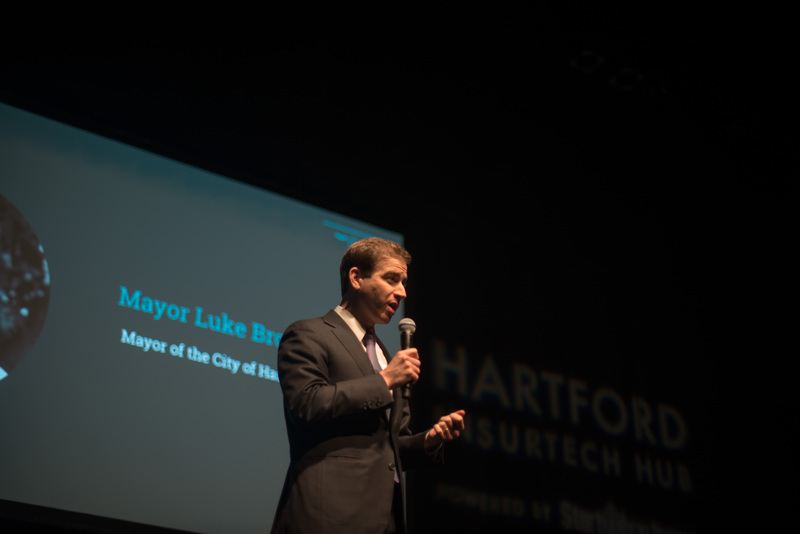 Success for us will come when innovation and entrepreneurial activity starts to take on a life of its own, and Hartford and East Hartford become their own magnets for talent, up and coming firms, and new technologies. We hope to see the accelerators continue to grow and thrive. We want Hartford to become a place where young talent comes to gain a first class education and new skills, and where they want stay to find great jobs after they graduate. We hope to see more logos on top of our buildings, and see the companies that choose to do business here gain competitive advantage from the unique streams of talent and technology that this region has to offer. And, finally, we hope to see a different attitude about Hartford start to emerge – first within our own community, then within our state, and then ultimately across our country and globe. There’s no reason we can’t be a thriving East-Coast hub of 21st century technology. And, we hope that we’re taking the first steps now to transform that potential into reality.